Peter and Stephen Townsend are Townsend Landscaping - a premium landscape construction team, specialising in high-quality garden landscapes. Landscaping is our passion. And we know how to produce exterior environments to maximise your home's value, both in terms of your enjoyment and in future resale value. Our approach is to build close relationships with our clients to ensure your vision is achieved. Our work speaks for itself, and our clients speak for us. That's why just about all our work is secured via referral. Paying extraordinary attention to quality and detail, we insist on using only the best materials and methods. Our professional team is trained in our quality processes. 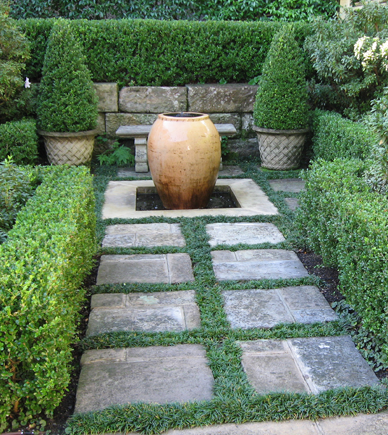 This approach means our work stands the test of time and has earned us a reputation as one of Sydney's leading landscapers. If you would like to view a selection of comments from our satisfied clients, please refer to our Testimonials. We are always interested in your feedback so we may able to improve our service to you. Please click here to provide any comments. If you would like more information or an obligation-free quote, click here.